Today, I wanted to ponder with you about the importance of intimacy. We all yearn for emotional intimacy, a deep cord of trust between ourselves and another. Emotional intimacy creates a sense of acceptance, desire and pure joy. When we connect with someone on a deeper level we find ourselves genuinely satisfied. Love is strengthened through emotional intimacy. Do you know someone inside and out? Do you know what they are thinking even when they haven’t said a word? Have you ever read someone’s heart? Do you know exactly what to do based on that person’s countenance? We love the idea of someone knowing us inside and out. We all seek for a deep intimate connection with someone else, that is why we spend so much time researching how to create that intimate bond. We are always trying to see if the person we are with is a “perfect” fit, because in this perfection we would come to see a certain level of intimacy- emotional intimacy. Personally, I love the idea of the “perfect” fit. I love reading about the creation of man, how God created Adam and Eve. 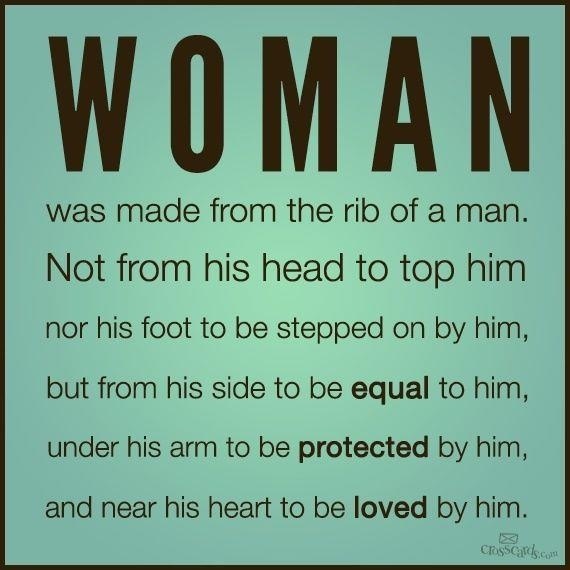 I found it interesting how God created man and woman in two different ways. When man was created, the Bible says that man was created from the dust of the earth. God shaped man and breathed into his nostrils and man became a living soul (Genesis 2:7). After the creation of man, God determined that man should not be alone and desired to create a person suitable for him. So, God created woman but not from the dust of the earth like before but from the rib of the man. A rib is a valuable bone, it’s job is to protect our organs from getting damaged- so for a woman to be made from a rib, it signifies a wife’s importance in the life of a man. God created woman out of man. Adam and Even were a “perfect” fit. God, from the beginning of time, created a level of emotional and physical intimacy to be between a man and a woman. In this moment, the idea of marriage was created- Eve from the beginning was called wife, not “side chick”. There is a level of intimacy and value attached to the name “wife” as opposed to “girlfriend” or “someone I’m just talking to”. Intimacy is valuable and should be given to someone with value. This is the beauty of God, He is the Creator of intimacy. This why God compares our relationship with Him to a marriage, because marriage symbolizes the highest level of intimacy. Marriage is a lifelong commitment to be with one person forever- through the good, bad and ugly ( there are exceptions that are present in scripture: adultery, abuse). This is why marriage shouldn’t be taken lightly, it’s a covenant (a vow) that has been around since the beginning of time. Our relationship with God is a covenant, one where God promises to always be present in our lives and we promise to do the same- to always stay connected to Him. When we develop intimacy with God ( the Creator of intimacy), we find ourselves free to explore that level of trust and love with someone else. It is not until we are connected to the Creator of intimacy that we can give someone true intimacy, something that won’t leave them empty and hollow- but rather a “perfect” fit. Emotional intimacy creates value in our relationships and it helps us determine an individual’s true place in our lives. Everyone is not “wife’ or “husband” material and therefore should not be treated as such. We have to give intimacy to those who will value what we are giving them, not to those who will mishandle the gift that they have been given. Intimacy is a gift so PLEASE BE CAREFUL who you give it to. Next Article Let’s Be Honest!